Loving this artist I just discovered from Scotland. 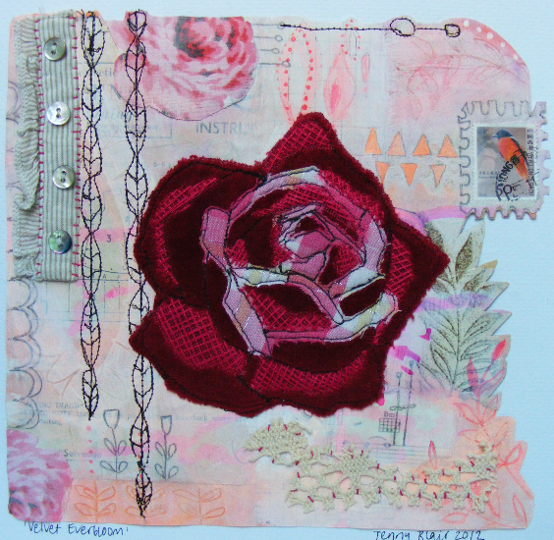 Jenny Blair is self-taught and expresses her creative vision through drawing, painting, and stitching. 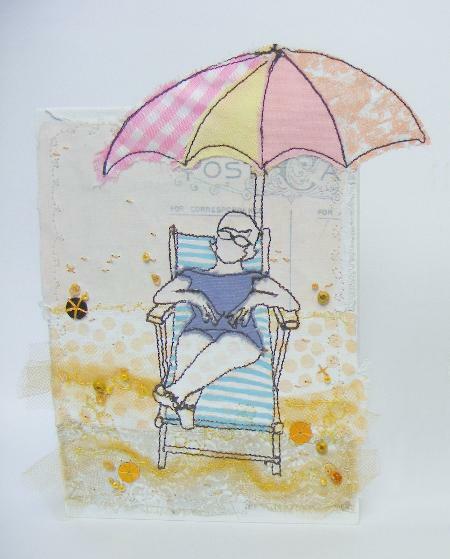 What I love most is her whimsical use of mixed media in her creations. They are very thoughtful with attention to the smallest detail. She actually sells patterns so you can create her art yourself with your own spin, love! 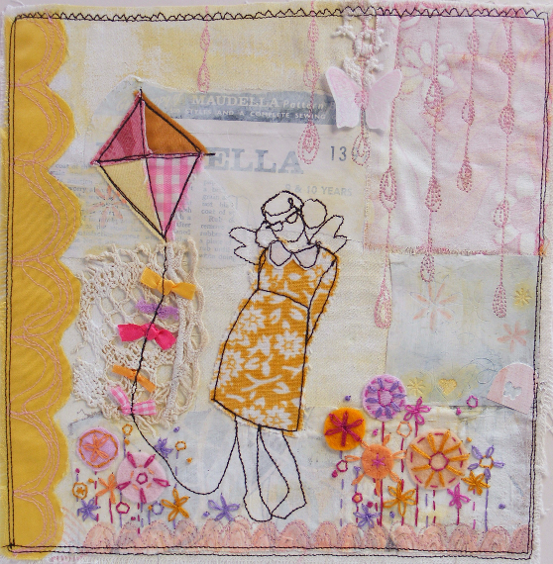 I would so like to make this Girl Flying Kite on a canvas tote. This would make a really great gift, I think this a fun project I need to take on! 28 Aug	This entry was published on August 28, 2013 at 8:00 am. 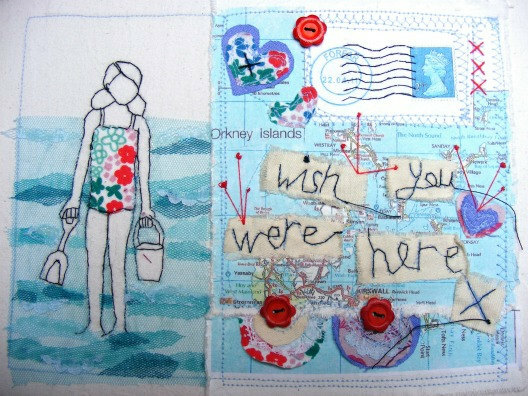 It’s filed under Decor, DIY and tagged Art, embroidery, jenny blair, Patterns, Stitch, Whimsical. Bookmark the permalink. Follow any comments here with the RSS feed for this post.